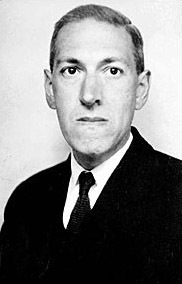 Howard Phillips Lovecraft (1890 - 1937), who published as H.P. Lovecraft , was an American author of odd tales and horror stories that can be attributed to the Gothic, Horror, Supernatural, Science Fiction and Weird genres. He died unknown and in poverty but achieved great acclaim after his death. He published under multiple pen names: Lewis Theobald, Humphrey Littlewit, Ward Phillips, and Edward Softly. You may not know that Lovecraft also wrote poetry, such as A Cycle of Verse, featuring verses with his characteristic flare for the dark side of nature. Lovecraft is featured in our Gothic Literature Study Guide. Enjoy many of his stories, along with plenty of other spooky tales in our collections, Gothic, Ghost, Horror & Weird Library and Halloween Stories. We feature Azathoth is our Science Fiction Study Guide.